The operator interface is one of the most important parts of your machine. Usability is key. You need an HMI with the input and display options best suited to the operating environment and the machine’s specific functionality. 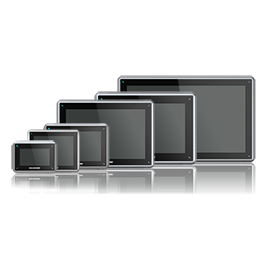 We offer touchscreen and function key options in a variety of sizes to meet virtually any requirements. 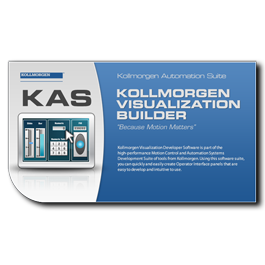 Kollmorgen Automation Suite™ includes operator interface panels ranging from 3.5 to 15 inches, with input options and programming capabilities to suit any application need, from single-HMI machines to highly complex machines with multiple input points. Whether you need a simple operator interface or a complex control environment for a machine with multiple input points, Kollmorgen Automation Suite™ includes HMI panels that are simple to program with the display and input capabilities you need for practically any job.